Celebrity chef Kevin Des Chenes teams up with Vermont Wine Merchants on a four-course wine dinner. During cocktail hour, guests will snack on lobster-corn fritters. Then they'll move into the dining room for a meal of grilled peaches with burrata, seared striped bass on a bed of buttered chard, braised short rib with udon, and flash-fried zeppole stuffed with apples. Thoughtfully selected wines complement the fare throughout. 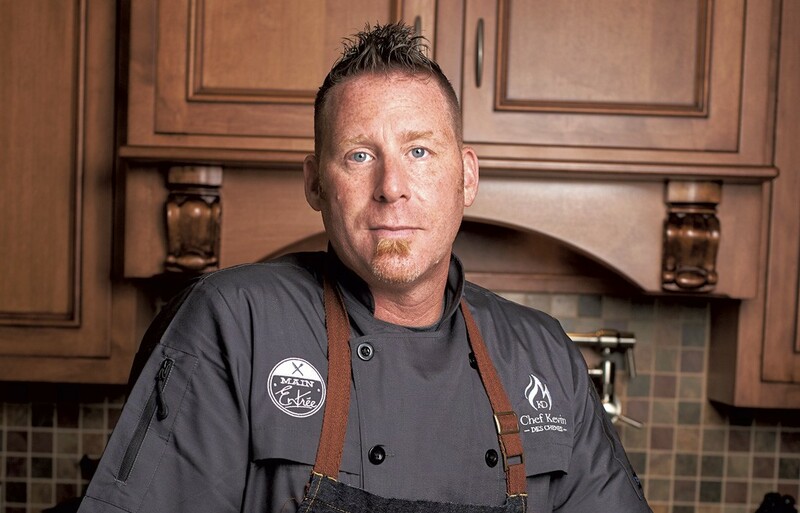 Pop-up Dinner With Chef Kevin Des Chenes: Saturday, November 3, 6:30-9:30 p.m., Junction, 70 Essex Way, Essex Resort & Spa, Essex Junction. $98. Info, 878-1000, essexresort.com. 10th Annual Wine & Food Festival: Vineyard visitors trade food-shelf donations for free wine tastings from an array of Vermont wineries. Snacks come via Luiza's Homemade With Love, Runamok Maple, Fairy Tale Farm and other local vendors. Saturday, November 3, 11 a.m.-5 p.m., Shelburne Vineyard. Cost of food and drink. Info, 985-8222, shelburnevineyard.com. Fall Meat Sale: Carnivores peruse closeout cuts of pastured pork, beef and lamb, as well as wild-caught seafood, to the musical stylings of Mister Chris & Friends. Saturday, November 3, 9 a.m.-noon, Bread & Butter Farm, Shelburne. Free. Info, 985-9200, breadandbutterfarm.com. The Dish: Women in the Food Industry 2.0: Chefs, farmers and entrepreneurs gather for a panel discussion on women's roles in Vermont's food industry. Wednesday, November 7, 5:30-7 p.m., ArtsRiot, Burlington. $5 suggested donation. Info, 540-0406, artsriot.com.